Every health care organization at one time or another considers outsourcing parts of its operation to a specialized company to meet specific goals, to fill a gap, to tap new resources and sometimes because you simply need to save some money. But are there critical times in the growth of your medical practice where outsourcing could do more than just take care of a temporary situation? Are there times when outsourcing could mean growth and productivity not otherwise achievable in your current organization? Should you include specific outsourcing in your strategic plan as you consider how to meet today’s health care challenges? Whether a small private practice, a large multi-specialty group or a hospital integrated practice; adding out sourcing to your arsenal of resources is an excellent solution for common challenges, especially as your practice considers transitioning to ICD 10. Incorporating this strategy must be addressed even if you do not see a current need for outsourcing. Strategic planning inherently looks for opportunity to grow market share, improve outcomes, advance new technology and develop an on-going analysis of operations. Practices must always be looking for the model(s) that will increase productivity while containing costs. 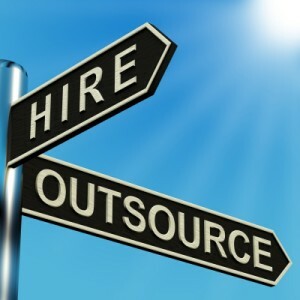 Cost savings is almost always the first thought in considering out outsourcing. And clearly there are cost and efficiency advantages to outsourcing. But even more importantly, there are six other reasons why outsourcing should be approached with fore-thought and deliberation. Reduction of Overhead: Controlling overhead through deliberate outsource planning is an excellent way to lower both fixed and variable overhead. Understanding when and how variable costs might present challenges and having known reliable resources to turn to can make a spike in variable costs become a seamless transaction. With technological development coming faster than light, IT and web design outsourcing may be a really excellent solution of keeping over-head for those services cost effective. Internal Staff Development: Not only should you consider going outside organization for outsourcing, but bringing on-site competent companies to work alongside staff is an immense help in developing critical skills in staff they presently do not possess. Flexible Staffing: While health care may not be a traditionally seasonally demanding business, everyone understands the impact of flu seasons on the general population. By planning on using temporary help during this time; your staff can remain focused and not get burned out when the demand soars. This is just one example of many to consider when looking at staffing requirements. Operational Management: The current health care sprint by practices to hospital integration models can quickly cause operations to spin out of control. Better management tools during this transition of private practice to the integration model can smooth those otherwise chaos prone times. By focusing on poorly managed areas and departments that could benefit from “re-engineering” your operations can receive both a temporary and permanent lift. Mitigation of Risk and Continuity: Whether it be periods of high turnover or key personnel on extended leave; the practice should continuously seek ways to mitigate risk with planned or unplanned long term absences. There is never an acceptable reason for sub-standard level of operation. Core Activity Focus: Keeping your core services “best in class” is what has built your reputation in the community and continues to draw new market share of patients. This is particularly true of back-office services; whether that be appointment reminding, calling with lab and other results, or even billing when growth and compliance with federal mandates causes a drain on both resources and finances. Practices will benefit from expertise in IT and billing services when the amount of expertise needed to perform at a highly skilled level is required. While outsourcing may bring clear advantages, the real dilemma is, where will you get the best bang for the buck? By inviting potential companies to give you a preview of services, getting feedback from their customers, and reviewing where opportunities really will bring value to you; you will be prepared to meet planned and unexpected events with solutions designed to create optimal outcomes.